Which TV shows are doing the best? The worst? Cancelled or renewed? Wondering how your favorite series are doing in the ratings? Here are the season average ratings of the 2016-17 network TV shows — through the end of week 52 (Sunday, September 17, 2017). ABC shows (so far): $100,000 Pyramid, 20/20, 20/20: In an Instant, American Crime, American Housewife, The Bachelor, Bachelor in Paradise, The Bachelorette, Battle of the Network Stars, Big Fan, Black-ish, Boy Band, The Catch, Celebrity Family Feud, Conviction, Dancing With The Stars, Designated Survivor, Downward Dog, Dr. Ken, Fresh Off The Boat, The Goldbergs, The Gong Show, The Great American Baking Show, The Great Christmas Light Fight, Grey’s Anatomy, How To Get Away With Murder, Last Man Standing, Marvel’s Agents Of SHIELD, Match Game, The Middle, Modern Family, Notorious, Once Upon A Time, People Icons, Quantico, The Real O’Neals, Scandal, Secrets And Lies, Shark Tank, Somewhere Between, Speechless, Steve Harvey’s Funderdome, Still Star-Crossed, Time After Time, The Toy Box, What Would You Do?, and When We Rise. CBS shows this season (so far): 2 Broke Girls, 48 Hours, 48 Hours: NCIS, 60 Minutes, The Big Bang Theory, Blue Bloods, Bull, Candy Crush, The Case Of, CBSN: On Assignment, Code Black, Criminal Minds, Criminal Minds: Beyond Borders, Big Brother, Doubt, The Great Indoors, Hawaii Five-0, Hunted, Kevin Can Wait, Life In Pieces, MacGyver, Man With A Plan, Mom, NCIS, NCIS: Los Angeles, NCIS: New Orleans, The Odd Couple, Pure Genius, Ransom, Salvation, Scorpion, Superior Donuts, Survivor, Training Day, and Undercover Boss. CW shows this season (so far): The 100, Arrow, Crazy Ex-Girlfriend, DC’s Legends Of Tomorrow, The Flash, Frequency, Hooten & the Lady, iZombie, Jane The Virgin, Masters of Illusion, No Tomorrow, The Originals, Penn & Teller: Fool Us, Reign, Riverdale, Supergirl, Supernatural, Terry Crews Saves Christmas, The Vampire Diaries, and Whose Line Is It Anyway?. 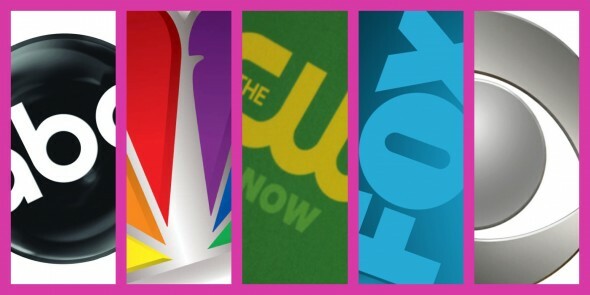 FOX shows this season (so far): 24: Legacy, American Grit, APB, Beat Shazam, Bob’s Burgers, Bones, Brooklyn Nine-Nine, Empire, The Exorcist, The F Word, Family Guy, Gotham, Hell’s Kitchen, Kicking & Screaming, The Last Man On Earth, Lethal Weapon, Love Connection, Lucifer, Making History, MasterChef, MasterChef Junior, The Mick, My Kitchen Rules, New Girl, Pitch, Prison Break, Rosewood, Scream Queens, The Simpsons, Sleepy Hollow, So You Think You Can Dance, Son of Zorn, Star, Superhuman, and You the Jury. NBC shows this season (so far): America’s Got Talent, American Ninja Warrior, The Blacklist, The Blacklist: Redemption, Blindspot, The Carmichael Show, Caught On Camera With Nick Cannon, Chicago Fire, Chicago Justice, Chicago Med, Chicago PD, Dateline NBC, Emerald City, First Dates, The Good Place, Great News, Grimm, Hollywood Game Night, Law & Order: Special Victims Unit, Little Big Shots, Little Big Shots: Forever Young, Marlon, Midnight, Texas, The New Celebrity Apprentice, The Night Shift, Powerless, Saturday Night Live: Weekend Update Summer Edition, Shades of Blue, Spartan: Ultimate Team Challenge, Sunday Night with Megyn Kelly, Superstore, Taken, This Is Us, Timeless, To Tell the Truth, Trial & Error, The Voice, The Wall, and World of Dance.